Formerly in 1957 an extension of the Fruitcrest Preserve Company, Imperial Frozen Foods is a leading supplier of Grade A conventional and organic frozen fruits to the retail, club, and food service segments. 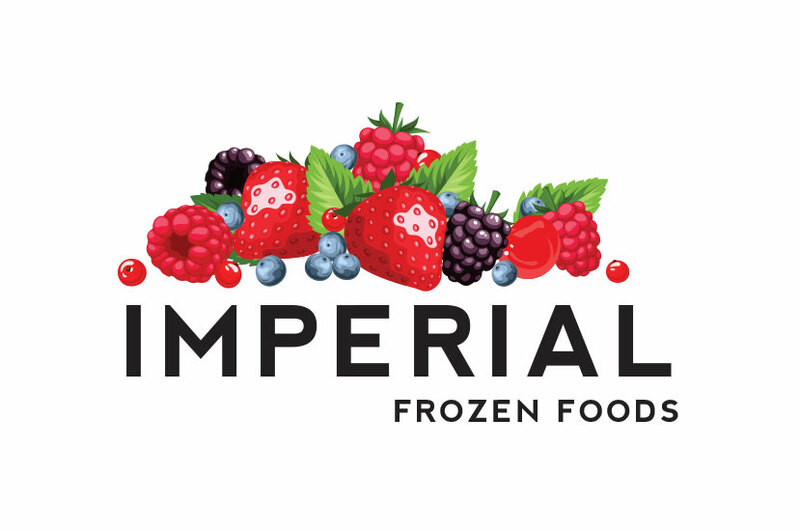 The Imperial Frozen Foods logo features a collection of fresh fruits to compliment the company name. The bright, vibrant colors help make these mixed berries enticing on the logo, which is featured on packages of products. Bright colors like this are guaranteed to stand out on the shelf, and the appealing illustrations make this logo that much more attractive. We really wanted to showcase the fresh, all-natural aspect that Imperial Frozen Foods strives for.